Over the course of the last year I’ve become a part of 2 bi-weekly gaming groups at the Village Geek in McPherson, first I joined the Pathfinder group led by Adam Brown that meets every other Friday. Before that first session I’d never actually played using the Pathfinder system, but I had experience with D&D 3rd edition and 3.5 so he told me it should be highly transferable, then about a month or two later I joined a group that meets on Saturdays playing the 5th edition of Dungeons and Dragons led by Adam Stewart. Initially, I was a little nervous about this being the 5th edition, mostly because I’d never tried it and I feared that my previous experience wouldn’t be transferable, it does transfer but it did take a bit more adjusting to the new climate. After time playing these two games, naturally I began to compare them to one another. Not the groups, the actual games and their mechanics. Never at any point have I ever felt or asked myself if one game was better than the other, the fact is I’m just ecstatic that I get to play in not one but TWO ongoing campaigns. Since it came out first, and plays similar to an older version of the other game, I’ll talk about Pathfinder first. Paizo did an amazing job of taking all the best parts of 3.5 and simplifying them without making it unrecognizable. I honestly believe that any player with 3.0 or 3.5 experience could pick up Pathfinder and integrate almost seamlessly. For starters you still have the same 6 base abilities (Strength, Dexterity, Constitution, Intelligence, Wisdom, and Charisma), and those 6 abilities based on the modifiers they offer help to shape the character you create. The acquisition and use of feats along with those of ability increases remains almost unchanged, with most characters gaining feats at every odd character level and some classes gaining bonus feats from a limited list at various intervening levels, and each class getting an ability increase at every 4th level. Each feat is fairly specific in its intentions and interactions, and for each ability increase you can change 1 score by 1 point each time. Characters gain skill points, which represent their capability in a diverse fields, that they can assign to any number of skills on a list, instead of starting out with skill points equal to 4X+ (4 x your intelligence bonus) at level one and then gaining X + your intelligence bonus points at each additional level and then adding in your ability modifier which was specific to each skill (as in 3.0), you have X+ Int bonus per level, and get a +3 bonus in a list of skills specific to each class. The math was simplified, but not entirely gone. There are still your 3 basic saving throws Will, Reflex, and Fortitude (based on bonuses derived from your class + Wisdom, Dexterity, or Constitution respectively) that your characters can use to either negate effects (such as damage or conditions) or at least minimize them. Armor Class (or AC) and defense remain pretty much unchanged. Each character picks out a type of armor they’d like to wear that gives bonuses to AC and what is called a maximum dexterity modifier which stipulates that in determining armor class you can only add so much of your Dexterity modifier to your AC. The reason your Dexterity modifier is added to your AC is because it represents just how agile your character is and thus tells other players how likely you are to dodge, so it stands to reason that in a set of heavy armor such as Plate Mail, you would have a much more difficult time dodging an opponent than in say, Leather Armor, based on how restricted your range of motion would be. There are other ways to increase your AC but those are the most common adjustments used. In the end your AC usually equals 10+ the AC bonus of your armor+ your Dexterity modifier up to the number allowed by your armor’s maximum Dexterity bonus feature. The categories for armor here seem almost arbitrary with no overall connecting features besides being listed as proficient if a character is trained in the use of that particular category. The downside of having it be so similar to 3rd edition or 3.5 is that it can have the same drawbacks; it can take a lot of books to get the “best” or “right” character. Personally, I don’t mind buying the books because I want to see what the new rules and feats are, but I can understand if a newer player looks at the volume of content and becomes intimidated. It can also take almost constant planning to maximize your character or to be sure you’re taking it in the direction you want, again this isn’t a concern for me, I have entirely too much free time on my hands so I don’t mind sitting around digging through books trying to get an outline as to what I’m doing with my character and what I might change or make it better. Both my characters Etrigan (R.I.P.) and Russell have been planned to what I felt was initially my own personal perfection, and eventually circumstances changed and they evolved. I don’t mind spending all this time adjusting my plans, but to a more casual or inexperienced player I can understand if this is daunting. In my opinion, I think Pathfinder is a great system for more experienced or more detailed gamers simply because there is a lot to know and a lot to remember, I mean, just look at my 3rd paragraph here. I like how complex the game is because it does bring in the nostalgia of my early days playing, but being more complex means it’s also more complicated. It can be taxing to newer players to remember all their bonuses and penalties, where they come from, and in some cases how long they last. Having said that, if newer players can get past just that initial confusion and the sheer weight of what is basically just pure math, I have every confidence that they would absolutely enjoy the system. Many of the players in my group were brand-new, not just to Pathfinder, but to tabletop RPGs in general and after those beginning awkward moments of figuring everything out they have come to flourish within the game and from what I can tell they love the experiences the game offers them. Honestly most of the complexity of this game is in the creation of a character so if you have somebody who doesn’t want to do quite so much work the rulebooks do a decent job of helping to create a “basic” starting character, sure they might be the beige or vanilla of the game to the more experienced players, but to people who want to PLAY the game, like throw dice and be the hero, and not just bury themselves in preparing to play the game this works just fine. 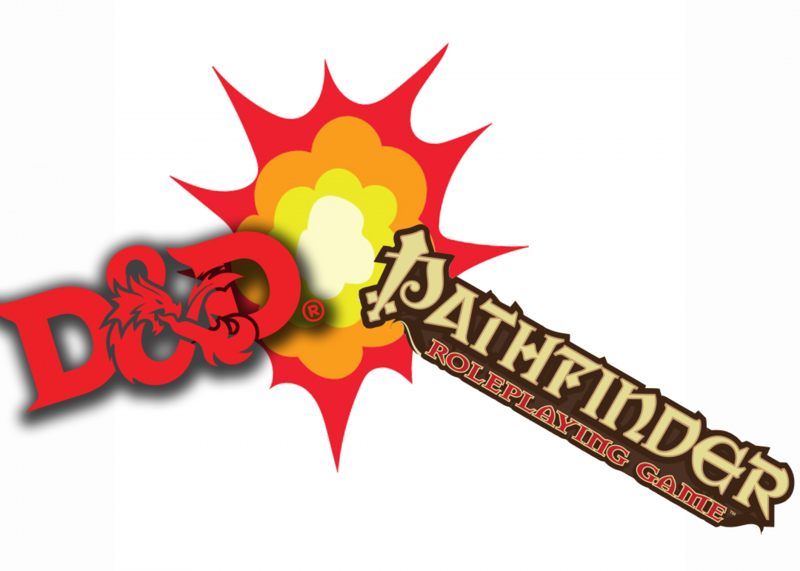 I should note here that earlier this month Paizo announced that this summer they will begin playtesting Pathfinder 2nd Edition, which is expected to make the rules similar to their other RPG, the Sci-fi based Starfinder system, I myself haven’t had the time to study Starfinder or play it, but many of the people who look at the upcoming adjustments to the system believe that this is their intent. Either way I’m sure I’ll write another segment about Pathfinder 2nd Edition to clear up any confusion and hopefully give an better understanding of all the changes they’ve implemented. 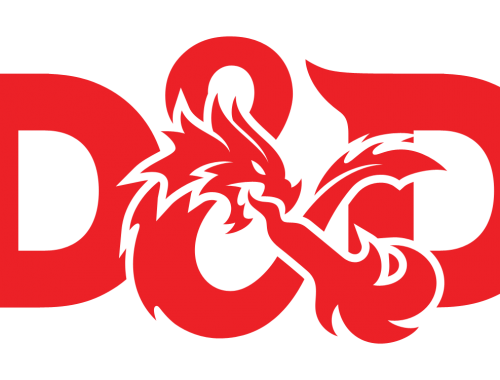 Next time, I’ll talk more specifically about Dungeons & Dragons 5th Edtion, and how it’s unique from Pathfinder. If this article interests you, and you live relatively close to McPherson, KS, I highly recommend attending the Game Master’s Workshop at The Village Geek. For more information about the next instance of this reoccurring event, go here. Nicely done. I look forward to your next installment.